Review blueprints, building plans, building regulations, product information and specifications to determine work details and procedures (e.g. sequence of pipe installations, to plan around obstructions such as electrical wiring). Select sizes and types of equipment and materials. Locate and mark the position of pipe installations, connections, passage holes and fixtures in structures, using measuring instruments such as rulers and levels. Measure, cut, thread and bend pipe to required angle, using different techniques and hand and power tools or machines such as pipe cutters, pipe-threading and pipe-bending machines. Assemble pipe sections, tubing and fittings, using materials such as couplings, clamps, screws, bolts, cement, plastic solvent, caulking, and techniques such as soldering, brazing and welding. Install pipe assemblies, fittings, valves, appliances and fixtures (e.g. 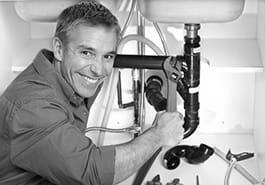 sinks, toilets, dishwashers, heating and cooling systems, gas appliances, water tanks), e.g. using hand and power tools. Check the work (e.g. by filling pipes or plumbing fixtures with water or air and observe pressure gauges to detect and locate leaks) and repair and correct faults. Remove organic materials and other debris from pipes, usually using a snake, a long device that is pushed down the pipes.